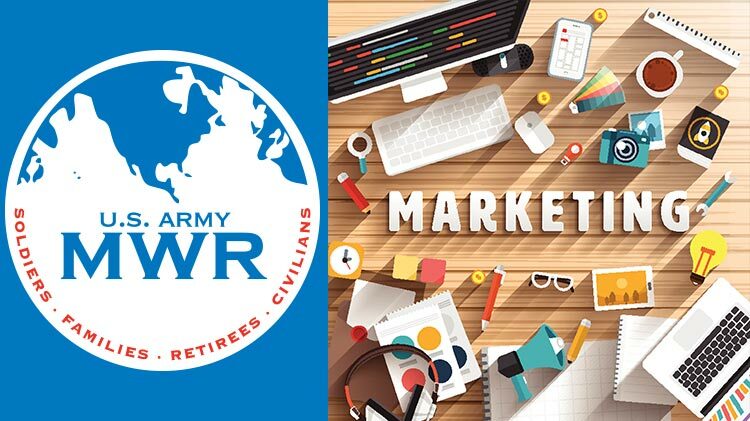 The marketing office provides a full suite of marketing and advertising support functions to all MWR programs including strategic communications, market research, strategic planning and commercial sponsorship. MWR program managers can request marketing assistance by completing the form below. Timelines for Marketing Requests: To initiate marketing support for activities' events and programs, a marketing request must be submitted 90 days prior to the date of the event or program. This requirement also applies to activities which are creating their own graphics. For pre-designed graphics, allow two (2) weeks for the approval process and/or printing. The marketing office cannot guarantee timely advertising when requests are submitted within 30 days of a program or event. A marketing request must be submitted for all marketing support and should state the level of support requested. The marketing department will set priority deadlines as needed. Graphic Design: To ensure that your event is marketed in a timely manner, we ask you to submit your request NLT 90 days prior to your event. Please fill out the following form as completely as possible, please do not submit this form until you have complete details of your event ready to go. Once you submit you will receive an email to confirm receipt of your request. If you do not receive an email, your request may have not been transmitted, please call the marketing office at +1 (309)782-4420 to confirm.